On quiet Lemmon Street, in the shadow of the B&O Railroad Museum’s roundhouse, are two modest rowhomes that stand as a memorial to the Irish immigrants who came to Baltimore during the mid-1800s. The Irish Railroad Workers Museum shares the immigrants’ struggles in Ireland during the potato famine, their journey to the United States, and their new lives in Baltimore. In 2014, the museum was one of five small non-profit organizations to receive operating support funds through BNHA’s Heritage Investment Grant Program. Operational support grants strategically target modest funding to stabilize small organizations and afford them the ability to build a foundation for future success. The museum used $5,000 in grant funds to support its effort to transition from all-volunteer to professional staffing, conduct bus tours in southwest Baltimore, and perform much needed marketing and outreach. 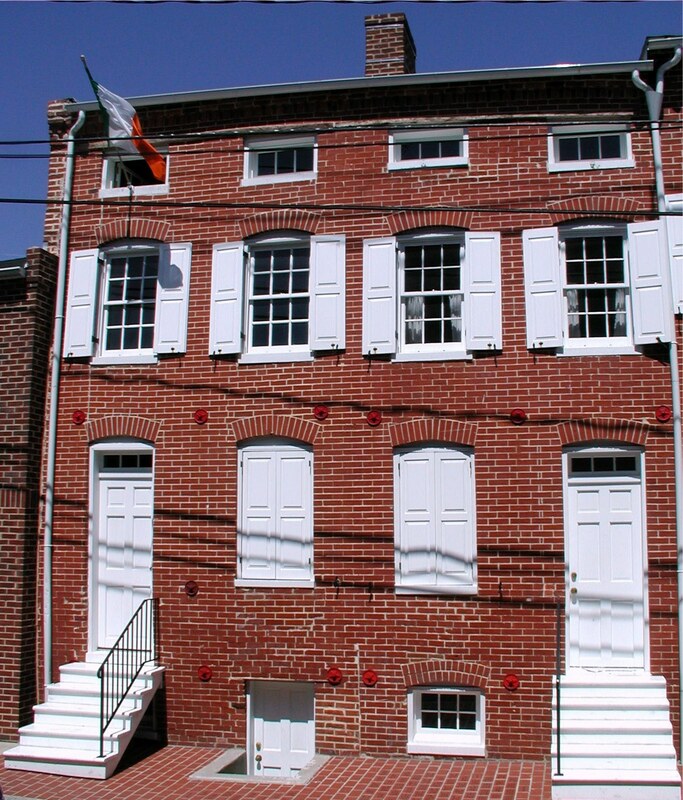 The Irish Railroad Workers Museum consists of two modest rowhomes on Lemmon Street. The home at 918 Lemmon Street was home to James and Sarah Feely from 1863 to 1883; much of the interior is intact and provides an interesting glimpse into everyday life in the mid-1800s. As Baltimore and the nation celebrates its ties to Ireland and the Irish people who made a new home in the United States, there’s no better time to take a look into the lives of those who came here for a new beginning. The Irish Railroad Workers Museum is open for visitors Friday and Saturday from 11 am – 2 pm, and Sunday from 1 pm – 4 pm. Docents are available for museum tours and to answer questions, and the museum visit includes a wonderful video documenting Baltimore Irish history. Visit the museum’s website for more information and check out the impressive Second Saturday events scheduled through May 2017.